We have re-developed the “WORDPRESS ECOMMERCE WEBSITE” from existing eCommerce application. We have worked on some customizations in new development like Shipping, ask question, Blog page etc. We have imported overall content (categories, products, users and orders) to new proposed application. We have added 301 redirect to maintain current SEO. New application allows online purchase of products from virtual malls i.e. website. It acts as an attractive medium for customers to buy product over website by paying the respective amount in return, through payment gateways integrated over the websites. For shopping, customers will be required to register over the website and then can search for products by entering keyword in the search box or by going through the defined categories of products. List of products will then be displayed for the customers they have made search for. Now from the list, customers can add products to the cart which they want to purchase and then they can precede further for payment procedure. There is an integration of credit card and PayPal payment gateway over the site through which customers can pay respective amount for products over website. The team of web-developers at LogicSpice is extensively dextrous who are exhaustive in the art of creating a myriad of compelling web applications. With the latest tools in the world of web application, we ensure that clients receive the best product from us, distinct of the size and based on the scope of project. The motto of proposed web solution is to provide to purchase the products from anywhere by searching the respective products by entering key words or by filtering through categories and paying respective amount through payment gateway integrated over website. Website would be easy to navigate and use. 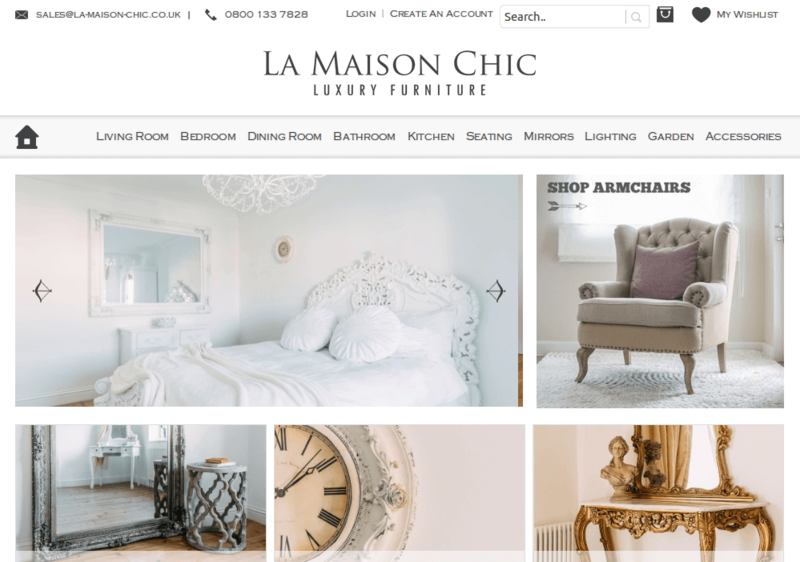 LogicSpice continues to provide expertise and services in support of La-maison-chic ongoing program of website development.